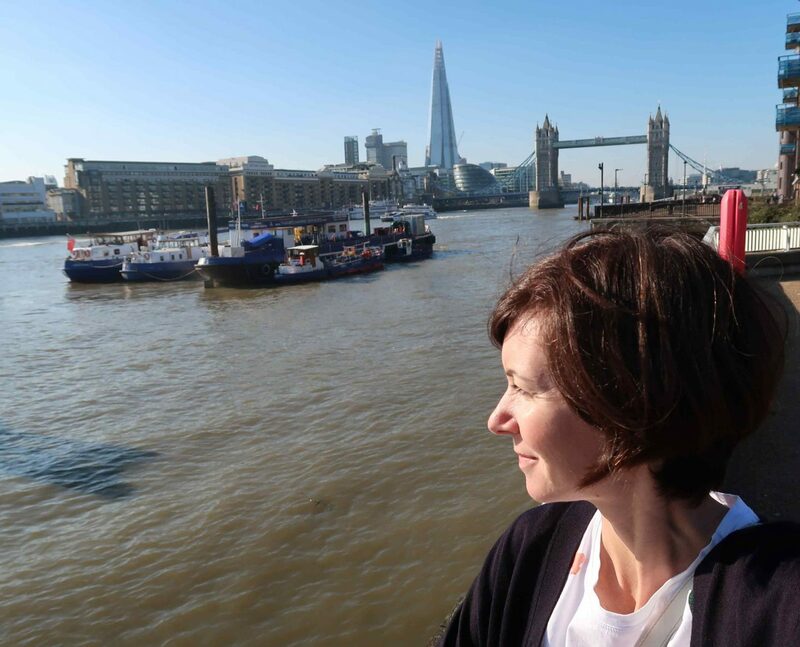 How many times have we walked along both banks of the Thames near Tower Bridge without knowing about St Katharine Docks? A little hidden gem, where you can relax from the crowd and find a London that you don’t expect. We were lucky because, despite being mid-October, a blue sky and super mild temperatures have made this day even more beautiful, for everyone. I say for everyone because we always stroll around the city with our children, who want to run and play (as it should be). 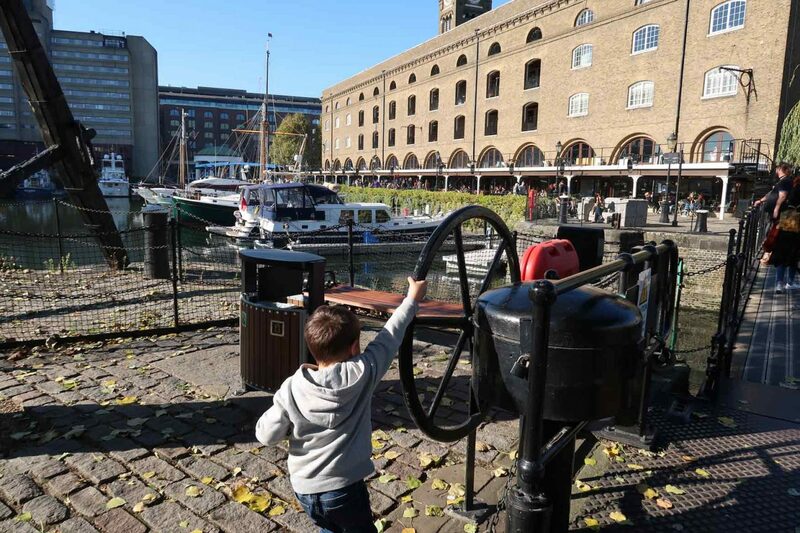 St Katharine Docks is a completely pedestrian area, so just perfect for families with kids. 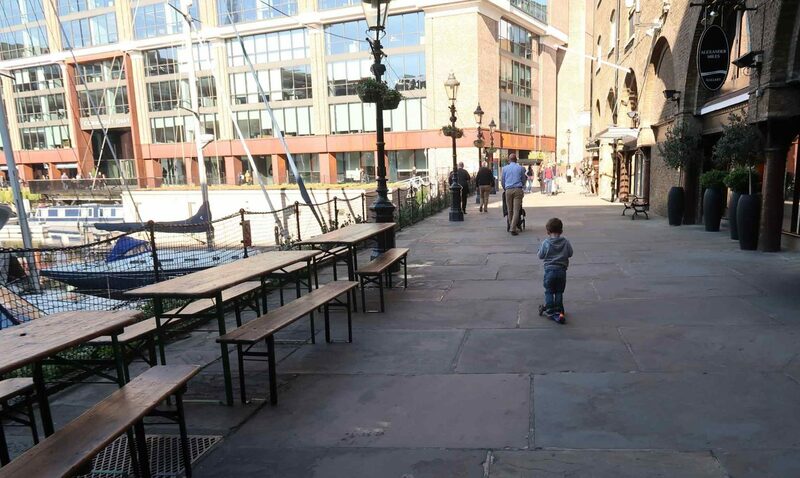 If you are in the Tower Bridge area and are looking for a place to eat, head to St. Katharine’s Dock. 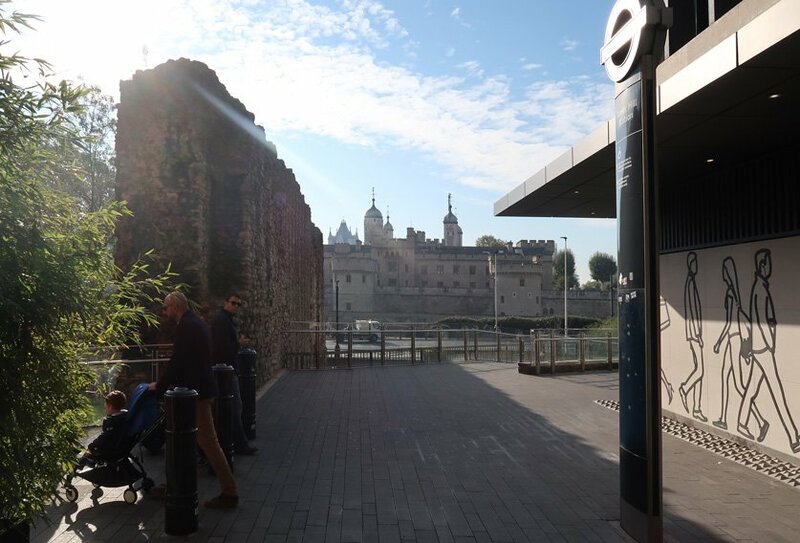 Just outside the Tower Hill tube stop you will be catapulted into history, because you can admire what remains of the Roman walls, built when the Romans invaded and founded Londinium. These walls survived all this time, including the bombings of the Second World War, as proof of their famous and recognized solidity. 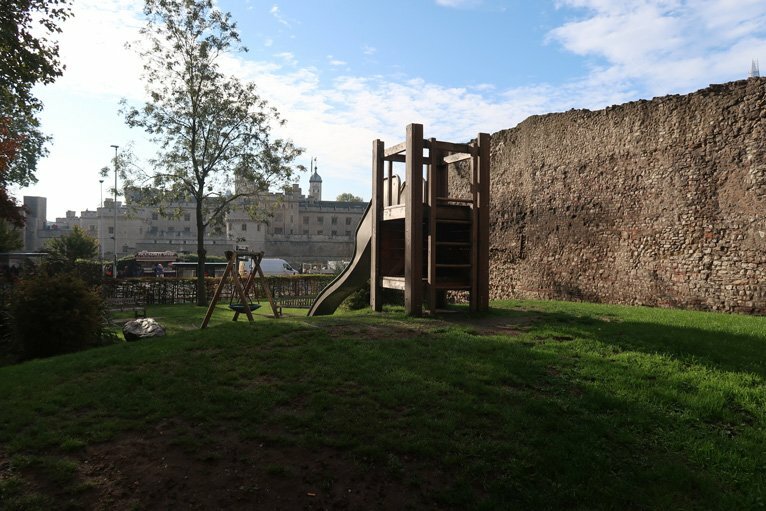 While you are admiring the roman walls, you will see in front of you the grandeur of the Tower of London. In addition there is also to a nice playground, where obviously we spent a lot of time with children. The view from this side of the Thames is full of contrasts. Behind the Tower of London there are in fact the buildings of the City, and the Shard, the tallest skyscraper in London, as well as the fifth highest skyscraper in Europe and the 67th in the world. 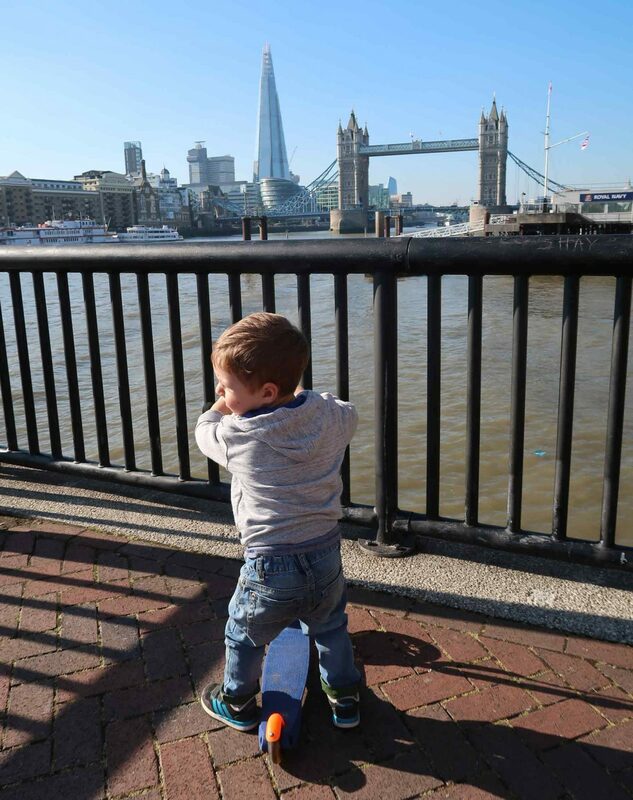 If you leave the Tower on your east side, walk along the street to admire the Tower Bridge. 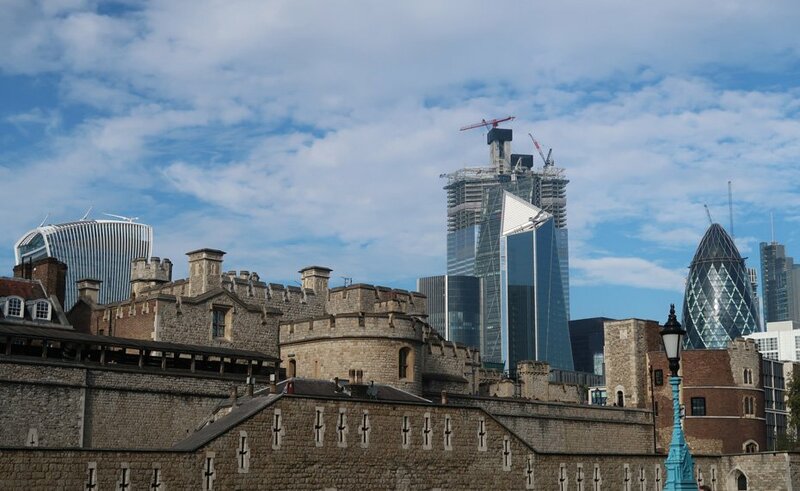 I suggest, in case you didn’t do so far, to get on the two walkways that connect the two towers, whose floor is made of glass and you feel like being flying over the Thames. 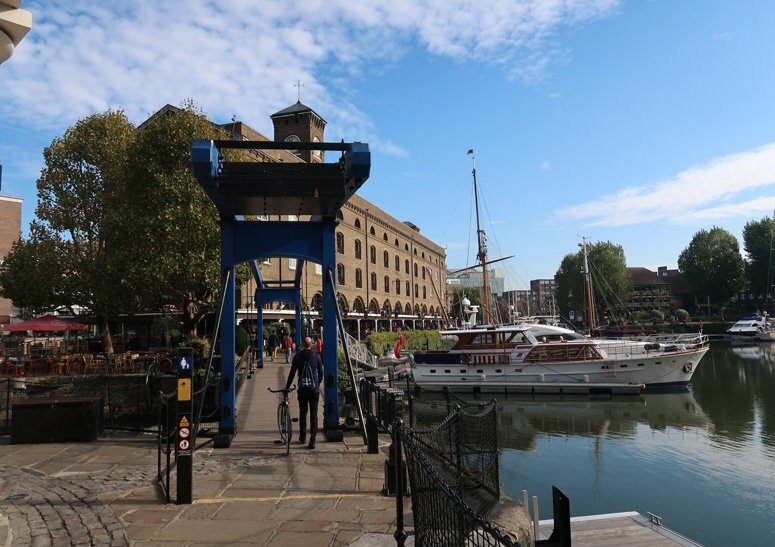 Leave the Tower and Tower bridge on the right and from St Katharine’s Way and be on the lookout for a discrete staircase that will take you directly to St Katharine’s Dock. 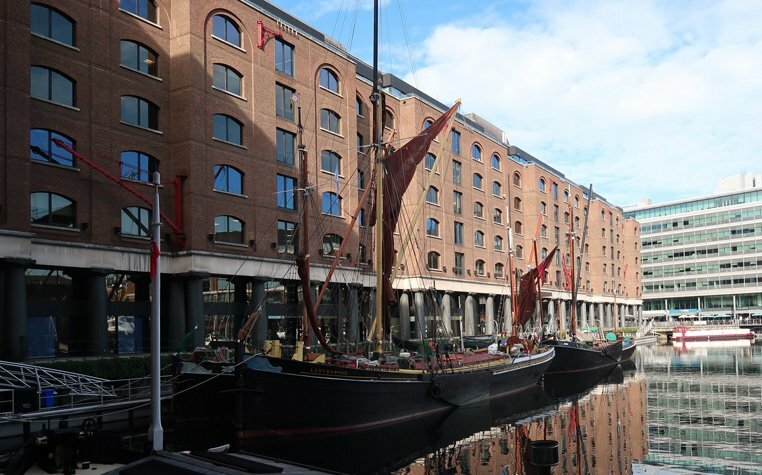 St Katharine Docks is the only working marina in central London. Hidden from view, it’s the most tranquil of havens nestled in the centre of the city. 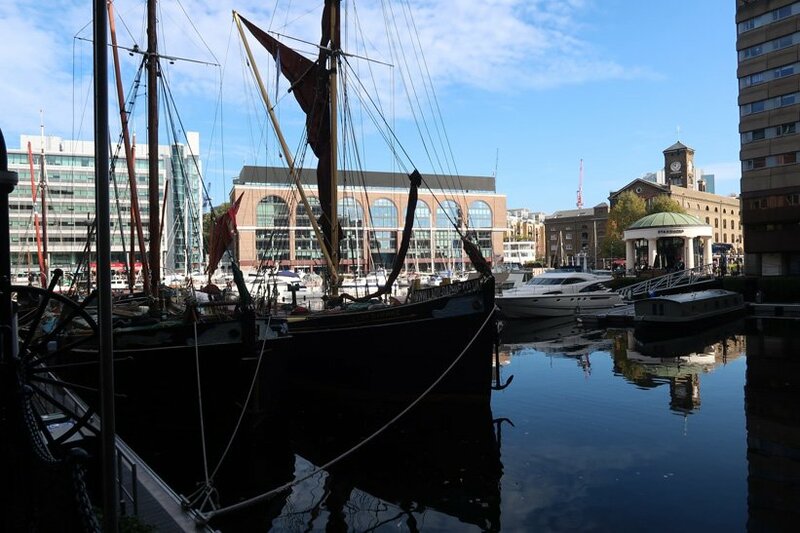 The dock, designed in 1828, was once one of the busiest ports in the UK, renowned for the handling luxury goods, sugar, rum, spices, perfumes, wines and teas. You can imagine how must have been in the past here. Hidden under these warehouses that surround the small port, the vast vaults that once housed thousands of barrels of precious wine and other luxury goods that poured daily into the piers. I can tell you, you will be enchanted by this marina. 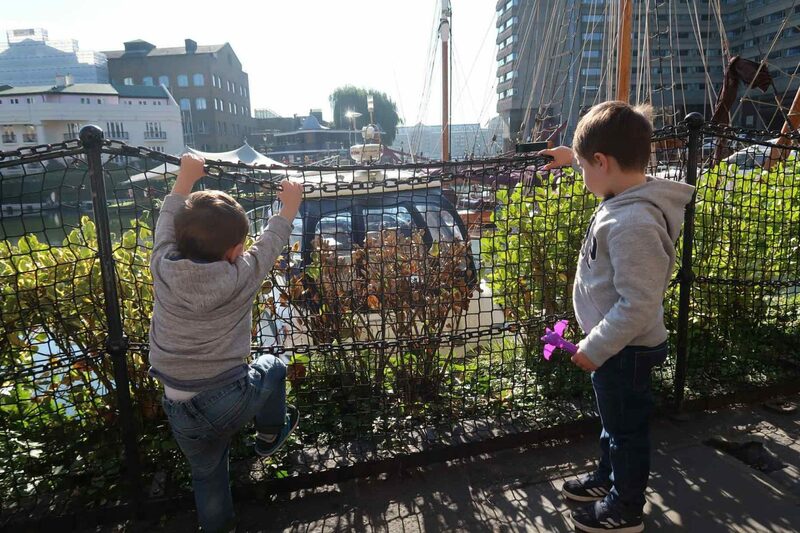 The children were enthusiastic of this place, and very happy to admire the moored boats and ancient vessels. We enjoyed that corner of silence from the noise of the city. It didn’t seem to be in the heart of London! It was very much like walking along the Ligurian coast in Italy. 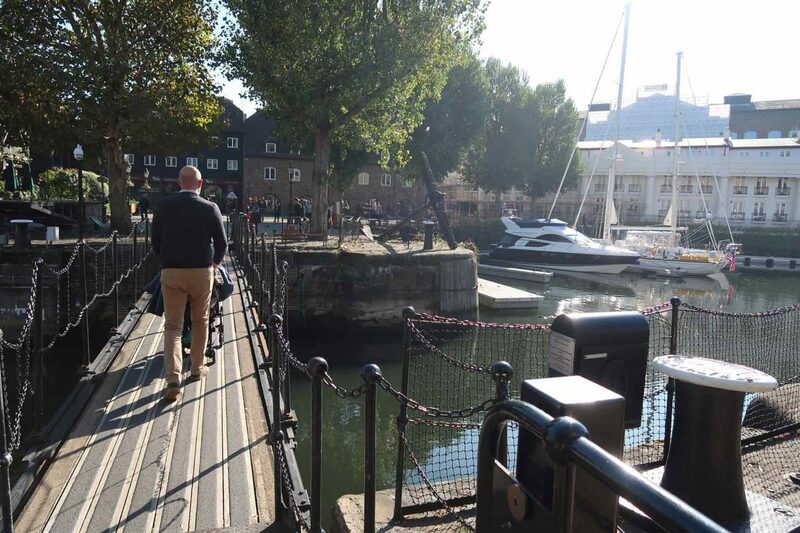 St Katharine Docks is actually made up of three basins, three intercommunicating Docks located one level higher than the Thames. So the boats that have to enter into the marina, first pass through a lock (lock) whose level is raised: the water is pumped from the river, to be at the same level of the docks. To get out the boats go from the docks to the lock, whose level is lowered by pouring water into the river. 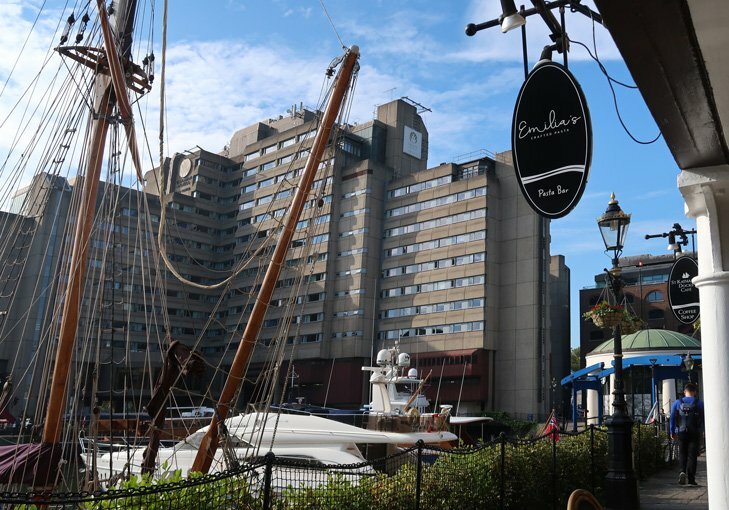 St Katharine Docks is full of restaurants with outdoor tables, where you can have lunch while enjoying the gorgeous view of the port. 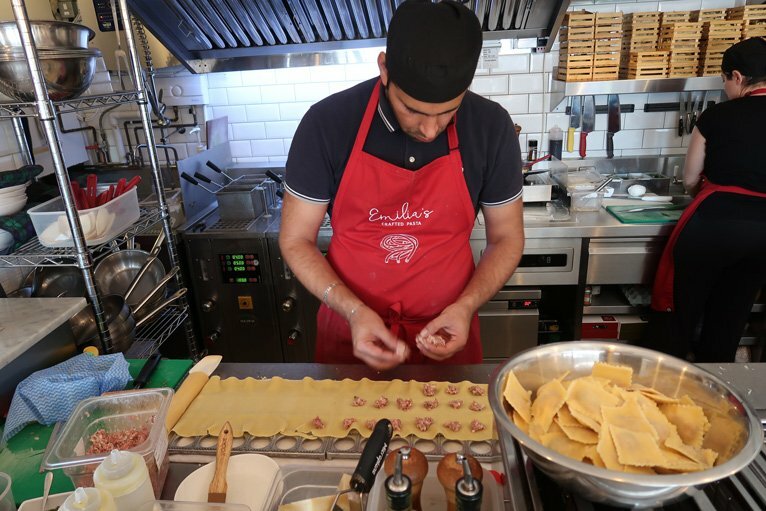 We had lunch at Emilia’s Crafted Pasta, where we could taste excellent fresh homemade pasta. The children ate homemade ravioli and pappardelle with meat sauce, much appreciated by both. 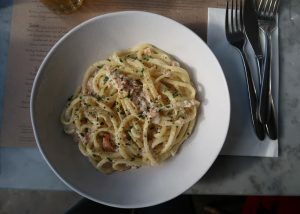 For me and my partner, a carbonara with salmon and caserecce with mushrooms, both delicious. 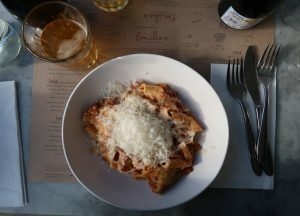 It’s amazing that the pasta is freshly prepared every day as well as the ravioli. Another point in favor of this place, the choice of craft beer. 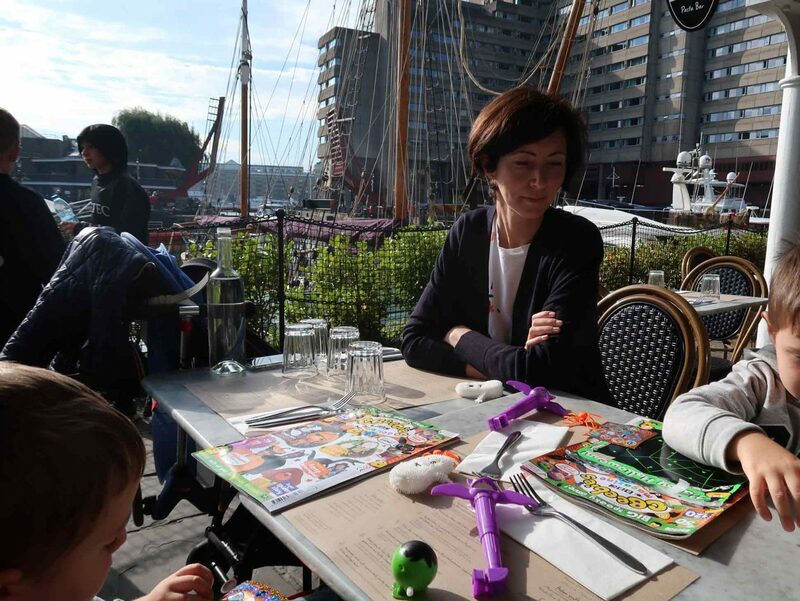 Despite it was October, we had lunch outside, right in front of the moored boats. It seemed to be on holiday! After lunch we continued the walk in the Docks and then along the Thames. 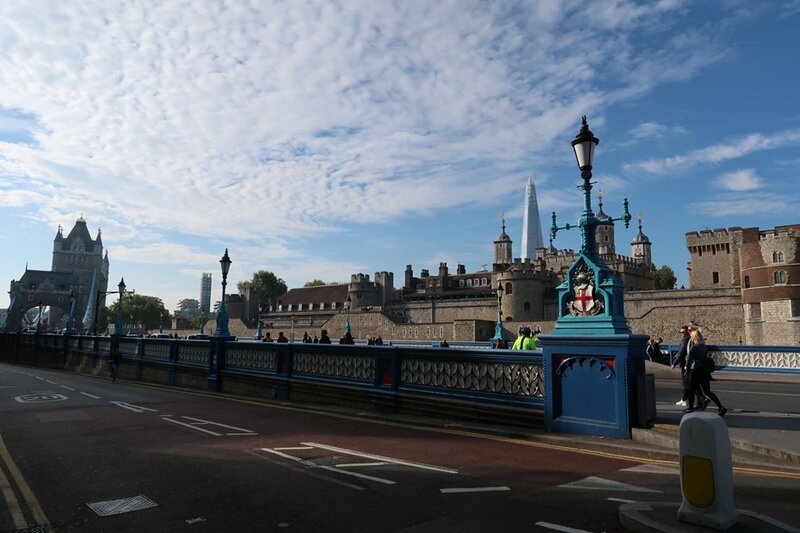 I recommend going east because only ten minutes from here you can enjoy a breathtaking view of the Tower of London and the Shard in the background. 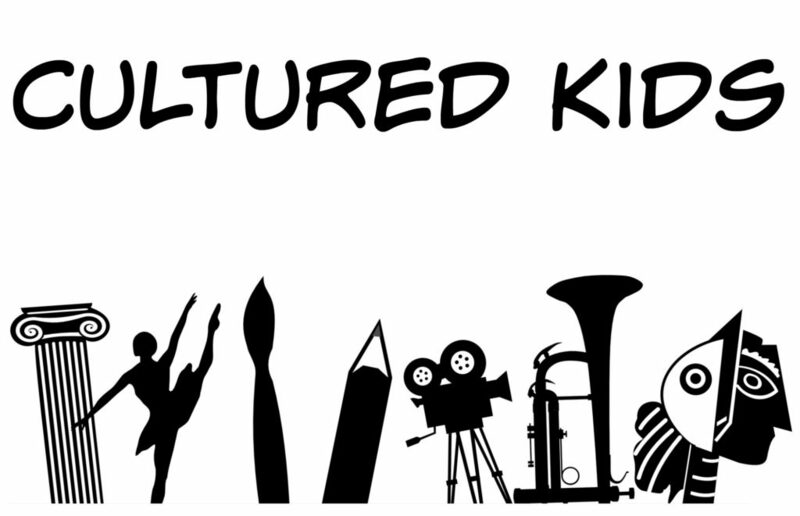 And this is the video of the day, enjoy! 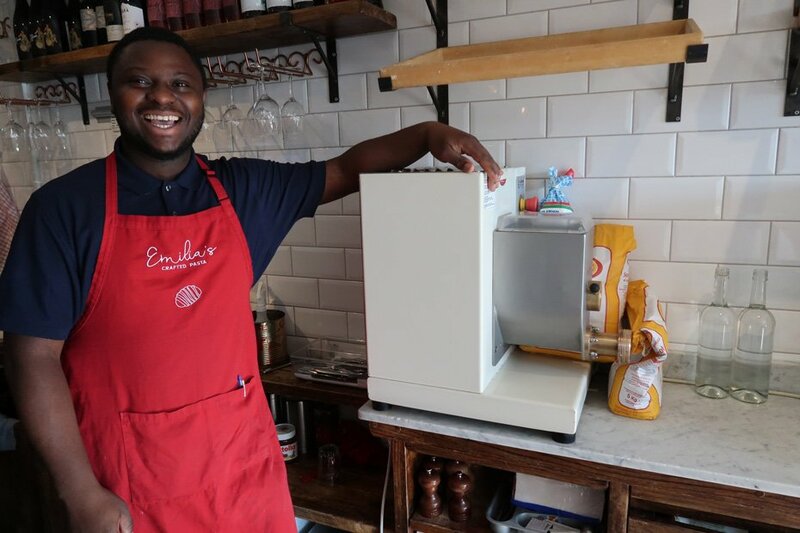 I was a guest of Emila’s Crafted Pasta, but as always, all views are my opinionated own. Con il tuo blog mi piace scoprire nuovi angoli molto suggestivi e poco turistici… ecco, mi è già venuta voglia di tornare a Londra! Grazie Daniela, anche per noi che ci viviamo c’è sempre qualcosa di nuovo da scoprire! We spent week in London, but didn’t explore any of the places you wrote about, and all seems so interesting. We will do check them out next time. Absolutely worth a visit, the north bank of Thames are so beautiful! Don’t be embarrassed Scarlett, we happen to discover it as well. Beautiful!! 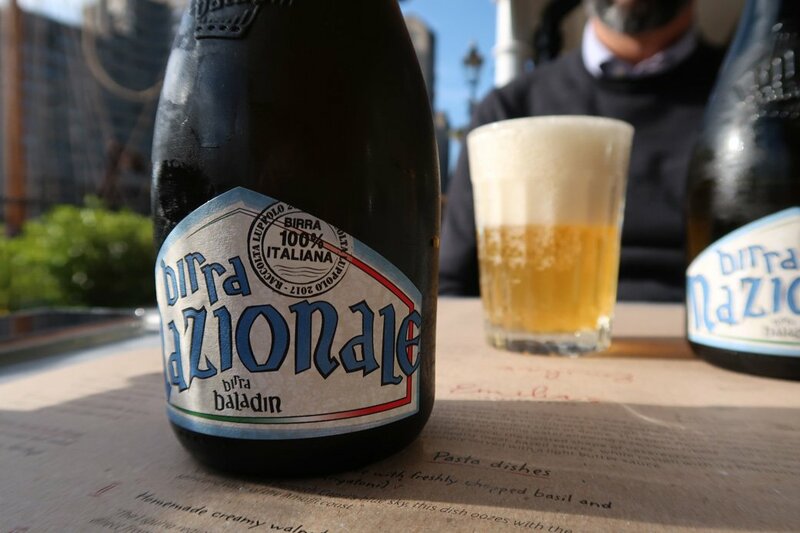 I am Italian and quite demanding and the food was just delicious! 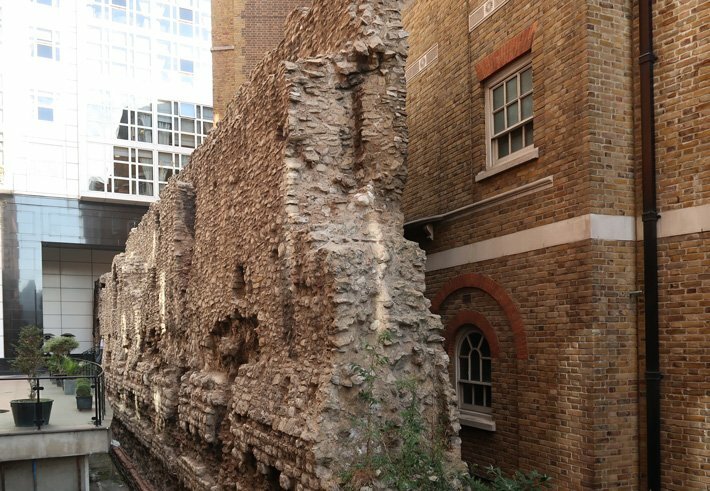 I walked past those Roman walls so many times back when I lived in London, and not once have I ever looked at them, or appreciated them, properly! 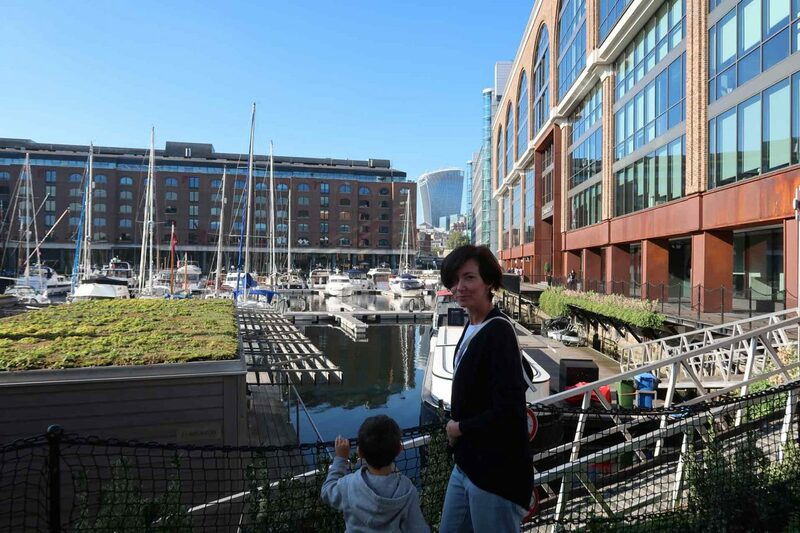 I used to work near London Bridge and I seem to remember going to St. Katharine’s Dock once or twice but memories are fading… Still, it looks beautiful and so quiet in the sunshine. We had great time in this little area and roman walls are a great historical wonder!! 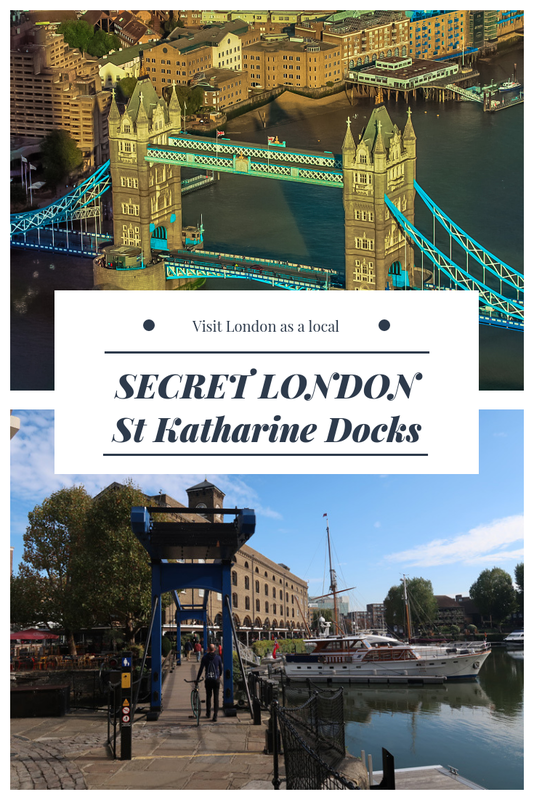 We love St Katherine’s docks – usually eat tapas and grab drinks at the lovely flowery pub – everything is so instagramable in there!